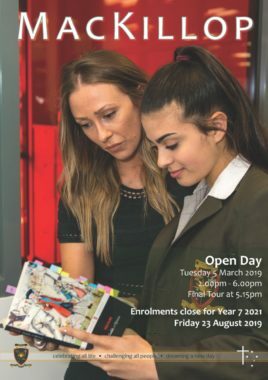 Applications for Enrolment to Year 7 2021 are now open! Siblings of current MacKillop College students wishing to attend the College in 2021 must apply. All 2021 applications close on Friday 23 August 2019.